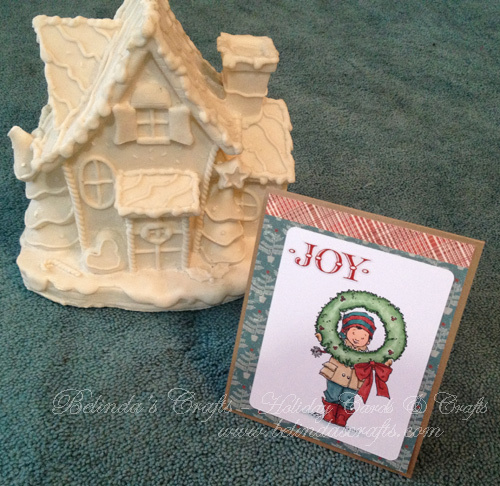 Good morning and welcome to day eight of my 12 Days of Holiday Cards and Crafts! Today I am bringing you another holiday card. This image is a digi from Mo’s Digital Pencil. 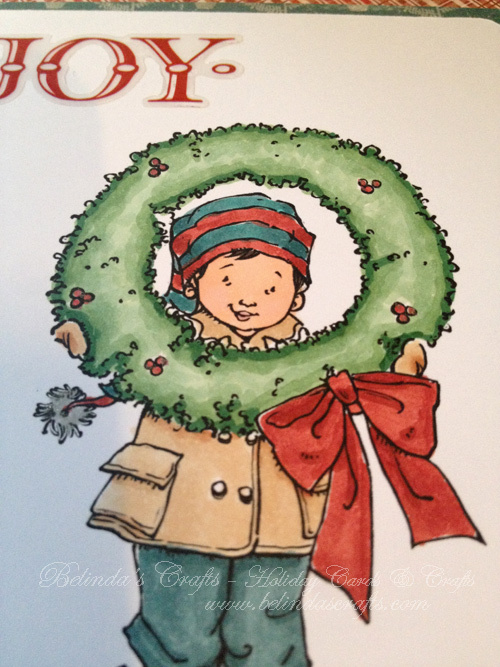 I believe the name of it is Henry with Wreath. I just love this one. I am always on the hunt for more images of boys since I have an enormous collection of images of girls. So it is truly a treat to color up boy images. 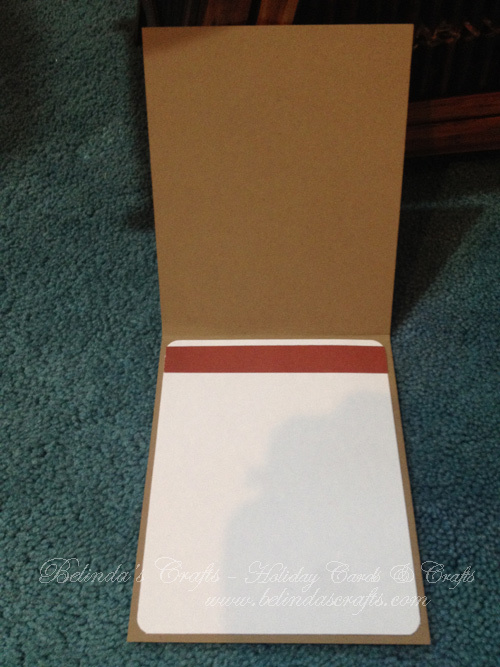 I used my Copics to color this image and Kraft paper as the base for the card. The pattern paper I used on this card is an old one I have from Authentique called ‘Tradition’. I love the muted colors in this paper pack. They lend themselves nicely to masculine cards. I pulled the color palette from the patterned paper when choosing my Copics. I apologize for the poor lighting today. It’s so dark outside this morning and I didn’t set up any additional lighting. I zoomed in to show you the Wink of Stella I used on the berries and pom pom but I think it’s not coming through well. You’ll have to trust me this time! 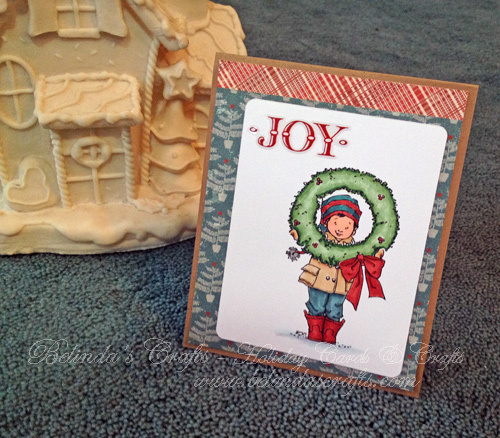 I once again used the greetings sticker sheet from Little Yellow Bicycle for the ‘Joy’ sentiment. It matched perfectly. The inside of the card I rounded the corners on the journaling sheet and added a strip of coordinating paper to the top. I like switching things up with top-folding cards. I left it blank inside for personal greetings. Today’s prop is a little winter house that I put on my television stand in our living room.